This punk rocker frog was a highlight of weird news this morning and I thought of a few ArrowCreek kids who would love to have one. 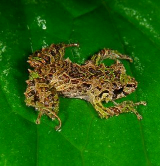 Since these frogs live in the Ecuador rain forest, it may be hard to get one as a pet. However, a local lizard may be just as interesting if it could be caught! Just this last fall for the first time in our 15 years at ArrowCreek we saw several Western Skinks with bright blue tails in our yard. 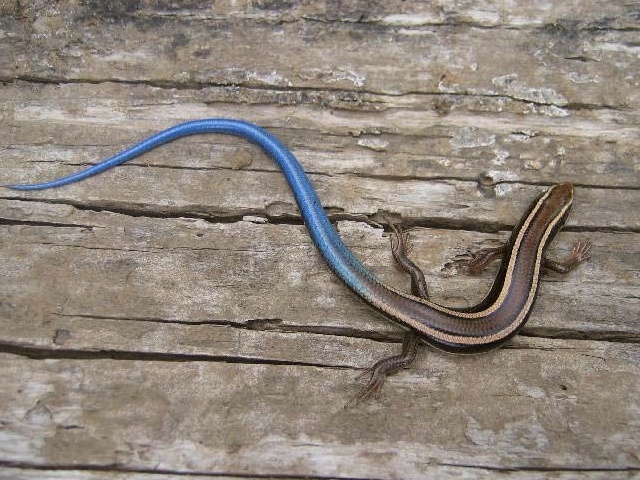 … and the Western Skink with the bright blue tail. This entry was posted in Punk Rocker Frog, Western Skink and tagged ArrowCreek, ArrowCreek 411, ArrowCreek411, blue tailed lizard, Punk Rocker Frog, Western Skink. Bookmark the permalink. If you find a Skink, they are very fast and like to hide under rocks.